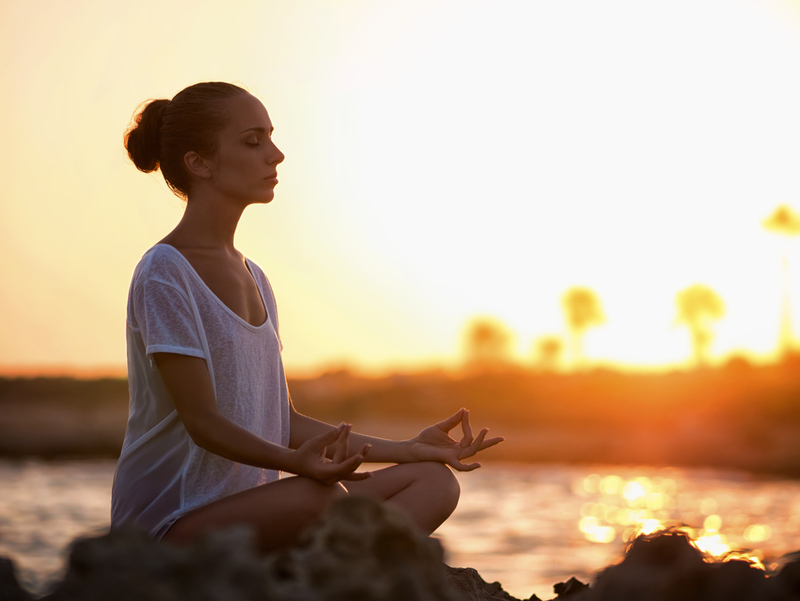 Coming to us from ancient India, yoga has certainly become a popular Western trend. With a plethora of health benefits ranging from exercise, flexibility, strengthening and body awareness, it’s no wonder that so many individuals have taken it up. Find a comfortable seat. Perhaps you will feel at ease in a traditional lotus pose, but you can arrange your legs any way that suits you best. If you struggle with back problems, use a cushion or chair for additional support. Bring you hands together at your heart or relax them open, palms up, on your legs. Keep your eyes and face soft, being sure to avoid tensing any muscles. Take long, deep breaths, breathing in through the mouth and out through the nose. Making time to take mindful, deep breaths helps to clear your thoughts and allows you to refocus and concentrate more fully. Stand with your legs about 3-4 feet apart. Stretch your arms out away from you, so they’re parallel to the floor, palms facing down. Turn your right foot so that it’s pointed forward, and your left foot so it’s not quite perpendicular, but angled inward very slightly. Bend your right knee and shift it forward so it’s right over your right ankle. Turn your head to your front hand, and place your gaze on your right middle finger. Don’t forget to breathe deeply! This pose requires your entire body to be engaged, which brings your focus and awareness into the present moment. It also requires that you focus your gaze on a specific point, enhancing your concentration. Balancing poses are great for concentration, and tree pose is no exception. While there are more complicated standing balances you can try (such as Eagle Pose or Warrior III), this one is a great place to start. Start by standing with your feet hip distance apart, facing forward, hands by your side. Lift one foot flat against your leg, starting low at your ankle. Bring your hands together in front of your heart or lift them above your head. If you want more of a challenge, you can lift the raised leg to the inside of your calf or inside your thigh. Just be sure to never rest it directly on your knee. Balancing poses are an excellent way of improving concentration, because if you lose focus, you might fall over! Try to focus on a point on the wall in front of you as you practice your balance or, if you’re advanced, close your eyes and hold your concentration.